Rosamund Pike: "Town & Country"
The Libertine was a brilliant period piece. It was a tragically realistic yet witty and humorous look at the Restoration period in England, but more specifically depicted the latter stages of the life of the Second Earl Of Rochester, a poet, who endured a short and debauched life. Here was a man so highly intelligent, yet so bored with life that he thrived by consistently pushing his limits and the boundaries of his relationships. 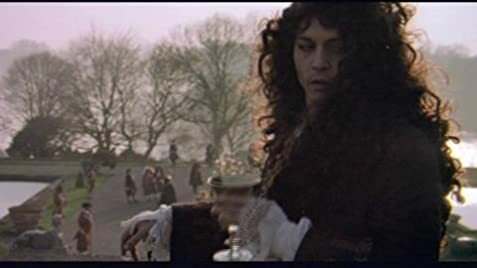 Johnny Depp eloquently and emotionally portrayed the Earl of Wilmot. 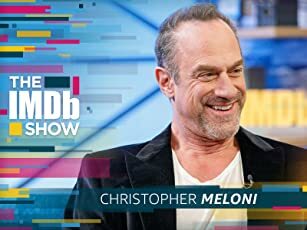 This has to be by far his most brilliant achievement in a long line of unique and amazing performances. Mr. Depp's portrayal of the Earl showed a range of emotions, incredible nuances and a depth of empathy never before seen on screen, best illustrated during the scene where The Earl addresses parliament - which has to be the most gut wrenching scene, rife with fervor but with credibility. Suffice it to say by the end of this movie I had been reduced to tears and cheers, both at times coinciding. This is definitely an Oscar worthy performance. The golden statue is a must. The supporting cast was also excellent; most notably, the actor who played the Earl's servant, and who appeared to have a great rapport with Mr. Depp, on screen. Samantha Morton, also superb as Mrs. Barry, gave a lovely and unobtrusive performance as was required for this character. Laurence Dunmore captured the atmosphere of the period exquisitely with simplicity yet with a keen eye to detail. The reproduction of the 'family' Portrait of the Earl with the monkey is an excellent example. The lighting, the sets, the costumes all added to the reality of the movie. The musical score by Michael Nyman beautifully augmented the spirit of the times and of this production. 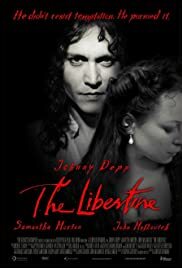 The Libertine was a work in progress when I viewed it twice at the Toronto Film Fest. I cannot imagine a scene being cut; even the more risqué dreams are required to impart the true emotional state of the Earl at that time in his life. Before passing judgment on this film I suggest that one see it at least twice so as to appreciate the full impact of the movie  to fully identify with the meaning and the thought behind this production. The Libertine is a wonderful piece of art, representing the true raison d'être of this poet with incredible wit and insight. Congratulations to all who graced the production of the Libertine. 254 of 294 people found this review helpful. Was this review helpful to you?